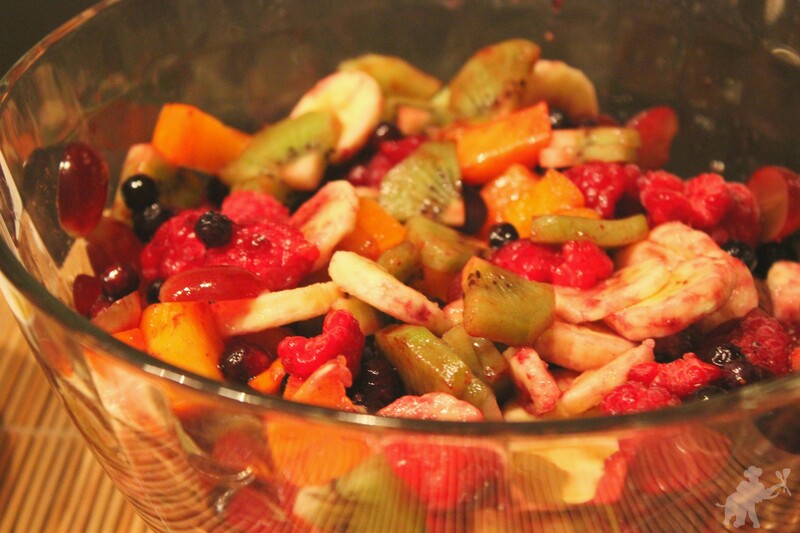 Lots of vitamins hide in this colorful winter fruit salad! It’s a great dessert that’s sweet, fresh and really good for you. Thaw the frozen fruit. Wash the grapes and cut them in half, peel the kiwis and cut them in slices. Peel and slice the banana. Wash the persimmon and cut it in chunks. Put everything in a large bowl. For the dressing, combine honey and lemon juice using a whisk. 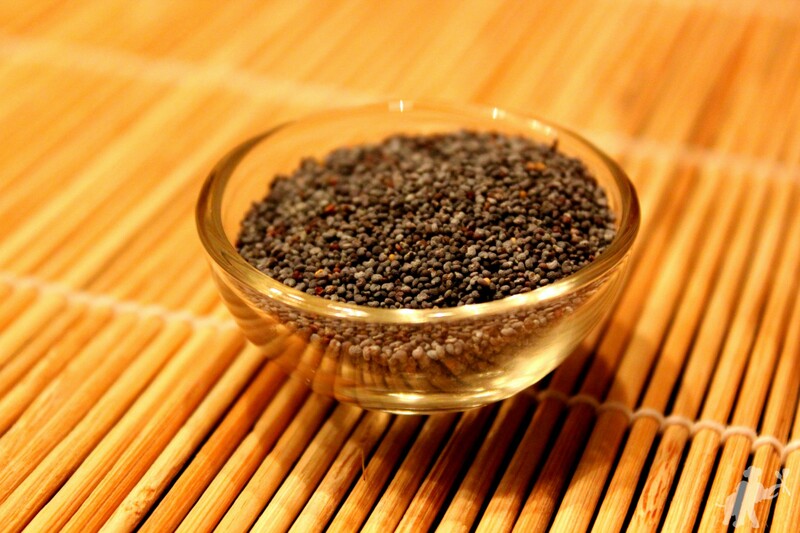 Stir in as much poppyseed as you like (I used about 1 tbsp). 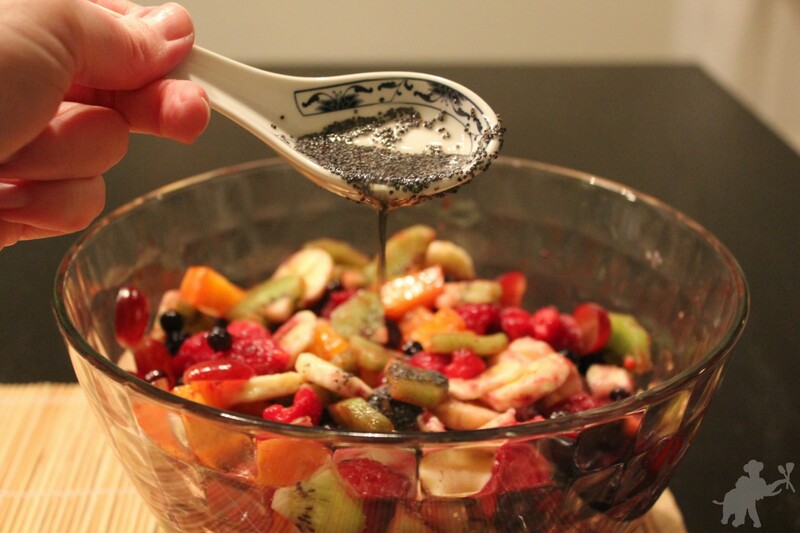 Pour the dressing over the fruit, mix it all carefully and serve.